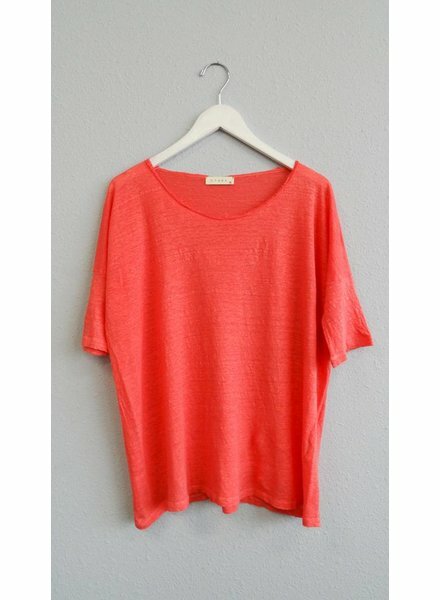 A scoop neck boxy tee in a soft linen. Fit is generous for that oversized look. A lightweight, crinkled cotton with a crew neck, cap sleeve with raw edges and a front tie. 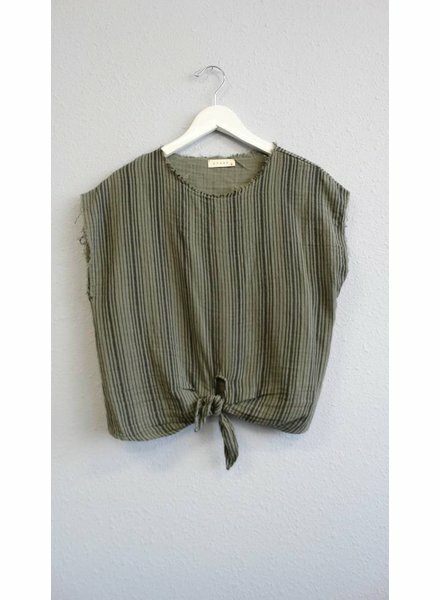 A lightweight crinkled cotton with a ruffle sleeve and peplum hemline. 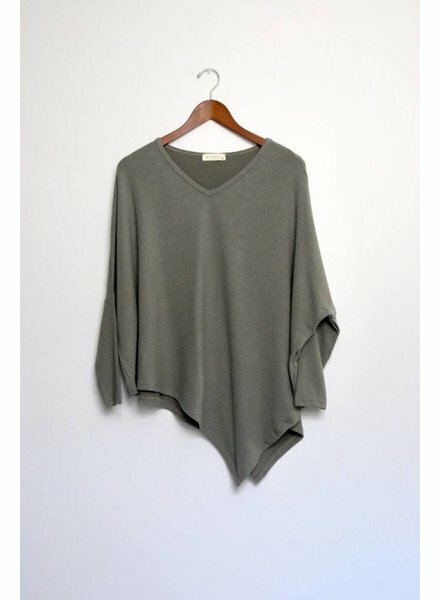 A flowy long sleeve, v neck sweater with an asymmetrical hem line in the softest material.